You have eaten clean the entire day. But just when it’s about to strike midnight, and you are working/watching your favorite show, your stomach begins to rumble. And all you can think of is munchies, cakes, and ice cream! It’s only human to give in to these cravings. After all, you’ve eaten healthily all day, right? But do you know that late night snacking leads to obesity and depression and prevents you from losing the extra flab (1), (2)? The only way around it is to make clever food choices that are low-cal and high-density. This article lists 15 yummy and healthy late night snacks that will help you train the “cravings dragon”. Let’s get munching! Why Is It Good For Late Night Snacking? 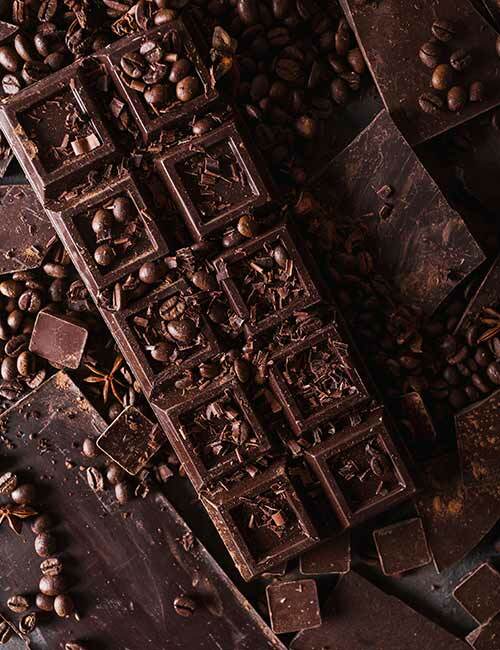 Dark chocolate is an amazing agent to curb your sweet cravings. But you must consume 75-80% dark chocolate for the benefits. Scientists from Denmark compared the effects of dark chocolate and milk chocolate on appetite. And they found that dark chocolate led to greater satiety, curbed the cravings to eat something sweet, and helped suppress calorie intake (3). Bananas are sweet, soft, and flavorful fruits that help curb hunger quickly. And the above nutritional chart will help you understand why they work as late night snacks. They are low in fat and high in carbs – the good carbs (complex carbs) that take longer to get digested and absorbed. As a result, your tummy feels full for a long duration. 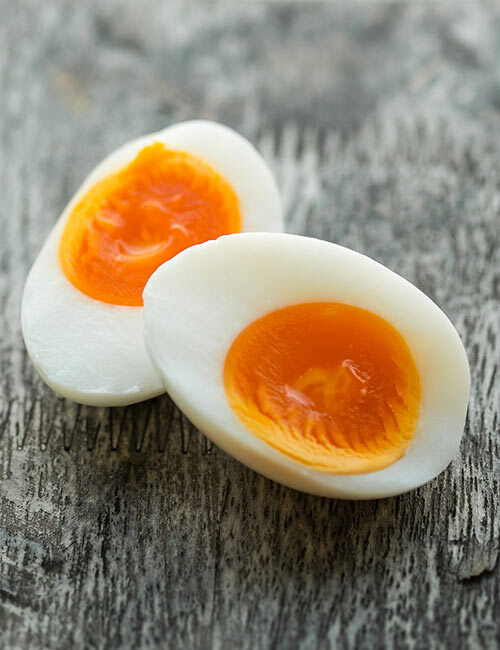 Hard-boiled eggs are great sources of protein. And proteins, like good carbs, take time to digest. Having a hard-boiled egg with a little bit of salt and pepper will help curb your hunger and keep you satiated for at least an hour. This low-cal and delicious snack will also help rebuild your muscles if you have worked out in the morning or evening, which will help boost your metabolism. Whole milk plain yogurt is a great late night snack as it has all the goodness of whole milk. It also has good gut bacteria that help in digestion. 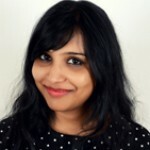 Scientists recommend consuming whole milk and whole milk products instead of low-fat milk as they keep your satiety levels up and prevent you from overeating. And this results in lower weight gain and central obesity (4). Why Are They Good For Late Night Snacking? Tart cherries are the new broccoli! And they are perfect for midnight snacking as they are low-calorie, nutrient-dense fruits. 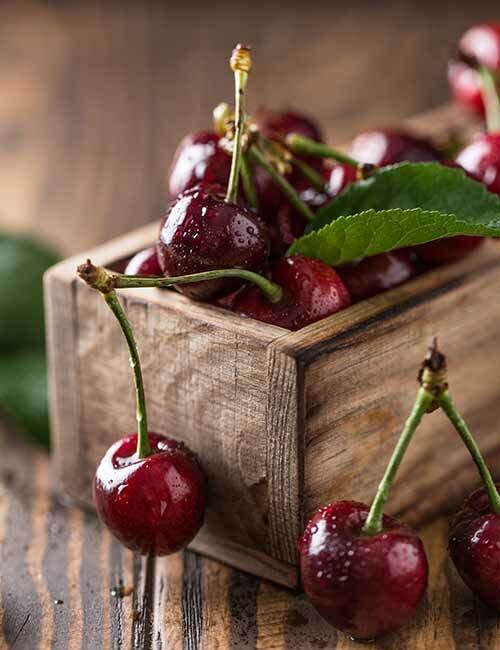 From fighting cancer to aiding weight loss, tart cherries have innumerable health benefits (5). The dietary fiber in these cherries helps slow down the transition time in your gut, thereby preventing you from feeling hungry soon. They are also high in melatonin, which helps improve sleep quality (6). Whole milk ricotta cheese is easy and quick to make at home. All you have to do is boil the milk and add a tablespoon of vinegar or juice of half a lime. The milk solids will separate, which you can separate using a strainer. Add a little bit of salt and enjoy the soft and freshly prepared ricotta cheese. You can also get a pack of it from a trusted brand. Ricotta cheese is rich in milk protein and calcium – both of which aid weight loss by suppressing appetite and boosting metabolism. 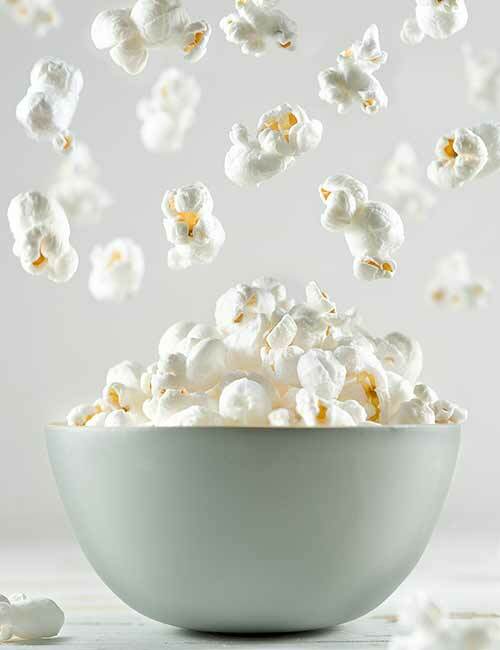 Air popped popcorn is an amazing snack, especially if you are watching your favorite late night show. It is low in calories and fills you up quickly and keeps your hunger pangs at bay for at least an hour. You can add some spices and salt to give it a unique flavor. But make sure you avoid consuming butter popcorn. If you have some leftover skinless chicken breast, go ahead and have it! Because skinless chicken breasts are low in calories and high in protein. And that makes them ideal late night snacks. Just have the chicken breast so that you don’t end up having a meal instead of a snack. The protein in the chicken breast will help curb your hunger and delay the gut transit time, thereby making you feel full. 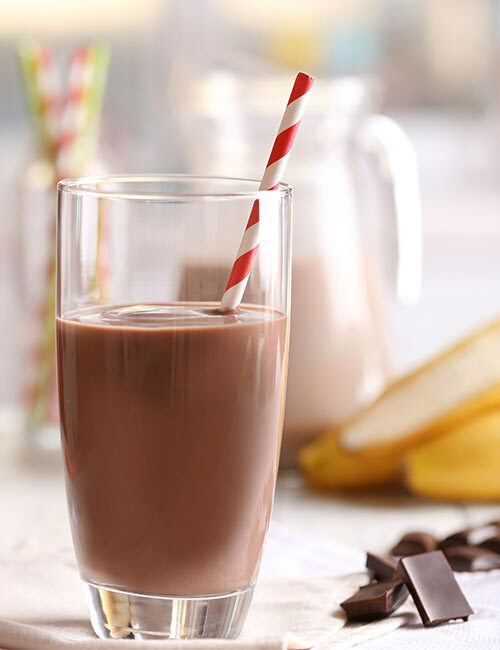 The only reason chocolate milk is included in this list is that it is way better to have a glass of full-fat chocolate milk instead of ice cream, brownies, and carbonated beverages. So, if you are craving for something sweet, chilled, and chocolaty, there’s nothing better than chilled full-fat chocolate milk. Sip on it slowly and enjoy while reading a book or watching your favorite makeup guru on YouTube! A handful of mixed nuts – almond, hazelnuts, Brazil nuts, and pistachios – is the best to give your body a good dose of healthy fats and protein. Healthy fats help reduce inflammation in the body and decrease the chances of inflammation-induced obesity. Also, since nuts are high in calories and protein, your hunger will be satiated quickly. Prepare a cup of oatmeal with whole milk and a pinch of salt. It tastes good, fills you up quickly, and kills your growing hunger. If you want to make it sweet, add brown sugar. 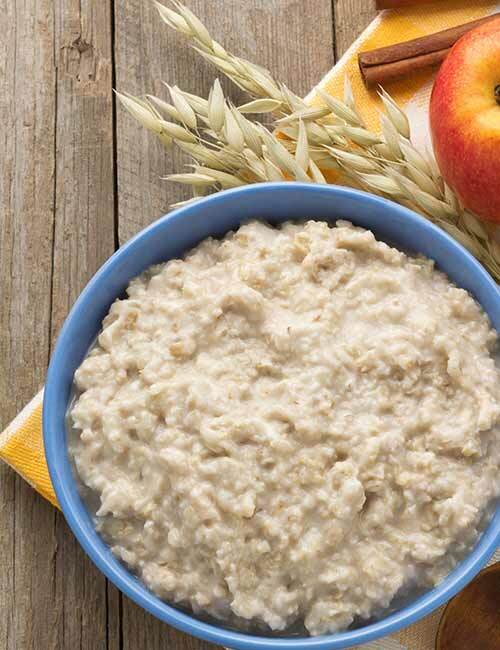 The fiber in the oatmeal forms a gel-like layer in the stomach, thereby slowing down the digestion and absorption process. And that is why you will not feel hungry for at least 2-3 hours. Chewy, gooey, and sweet – a dried fig is truly “nature’s candy.” The seeds add the perfect crunch to these sweet treats, and the sticky, gooey texture makes you linger on one fruit for quite some time, thereby preventing you from overeating them. They are high in dietary fiber, boost immunity, and improve hemoglobin levels. Have a maximum of 5 dried figs to satiate your hunger and sweet tooth. 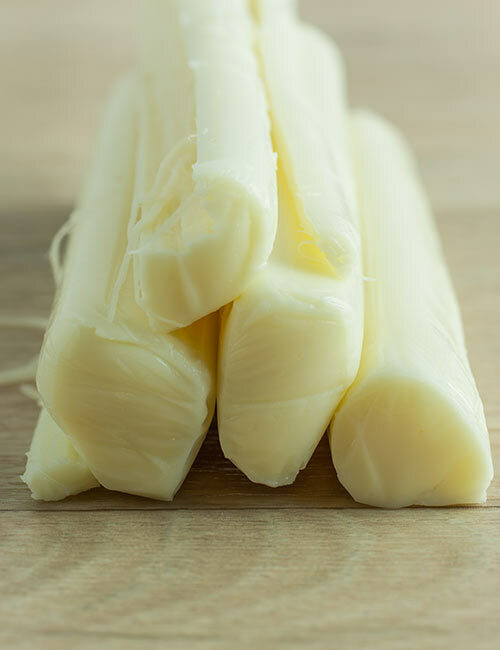 If you are a fan of cheese, try string cheese for a quick and low-cal late night snack. The protein and fat content will quickly curb your hunger. It also contains tryptophan, which can help you fall asleep and wake up fresh in the morning. Refrigerated (not frozen) berries like blueberries, strawberries, blackberries, cranberry, and raspberry are low in calories and help curb appetite and provide your body with the much-needed vitamins, minerals, and dietary fiber. Buy the berries and put them in a bowl in the fridge. You can also add a dollop of sour cream and turn it into a delicious dessert. 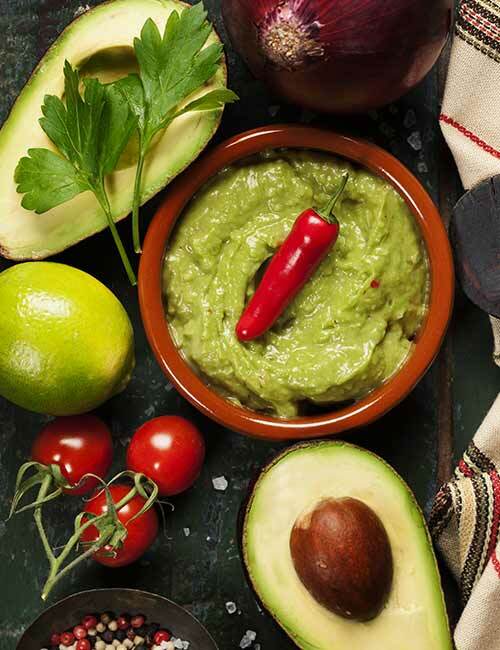 Guacamole is made by tossing avocado, onion, tomato, cilantro, lime juice, and some salt together in a bowl. It is quick and easy to make, and you can store some to take it to work or school the next day. You can also enjoy it with other raw veggies like carrot and cucumber. The healthy fats in the avocado will help lower inflammation and stress in the body. And the veggies will fill you up and help you have a good night’s sleep. There you have it – the best and quick late night snack ideas that will cause no hindrance to your weight loss plan. Just make sure you do not overeat or have all the foods listed above, all at once! Also, workout 3-4 days a week so that you can snack guilt-free. Once you have had your snack, brush your teeth so that you do not go for a second round. And you will see amazing results without going to bed feeling hungry. Cheers! What Should I Eat At Night To Lose Weight?